Below you’ll find a summary of the first episode of our new podcast Legally Pod: The Law Podcast, featuring the SRA’s Director of Education and Training Julie Brannan. Find out more about the upcoming Solicitors Qualifying Examination and how it will impact those of you currently on the LLB, GDL or LPC. Make sure you listen to the full episode, either through our Legally Pod page or on iTunes! Rachel: Could you tell us a little bit about the SQE? Julie: So, the SQE is a national licensing exam for all intending solicitors. At the moment, when you want to become a solicitor, the exams that you take are written by the university that you attend, so that means there are a lot of different exams in lots of different institutions all over the country. What the SQE will do is introduce one national exam or suite of exams that everybody will take. What actually lead you to to think about bringing the SQE into force? First of all, we want to be sure that everybody is being assessed against consistent standards, and secondly, we want to be more flexible about how people get to the right standard. We think it’s much better to have one single exam to check a consistent standard that’s fair for students. We as the regulator can say to consumers of legal services, like law firms’ clients, that we are sure that every solicitor that we have admitted is competent and safe to practice. But it’s also what enables us to be much more liberal about how people acquire the necessary competencies and standards, the knowledge and skills to become a solicitor. We want to encourage lots of different ways of training, perhaps training whilst you’re working in the office or spreading your training over time or doing more online training. We’ve got a good test at the end of the system that means we can allow education and training providers to innovate and create new ways to teach people to make sure they get to the right standard. When do you think the SQE is likely to come into effect? Our target date is autumn 2020, but that’s not an absolutely hard and fast date. We’ve got a timetable of work planned that we think is realistic and can lead to the SQE coming in then, but we’ve got to test it. It’s in the nature of testing that things may come out of the woodwork and it may take us a little bit longer to make sure we have a really effective rigorous good assessment. If that’s the case, we’ll delay the introduction of the SQE, but September 2020, at the moment – we’re still on track to bringing it in then. How will the SQE impact the current routes of practice – for example, law degrees, the GDL (law conversion course), the Legal Practice Course? We’ve talked a lot about the introduction of the SQE but the other part of what we’re planning to do is to no longer require people to take any of those specific degree programmes. We’ll no longer require people to have a qualifying law degree or a GDL or the LPC. Instead, we’ll say that people can take the courses and do the training they need and that suits their circumstances in order to acquire the skills and knowledge they need for the SQE. In practice, we think lots of students will continue to take law degrees – people think that’s a great way to learn what they need to do to become a lawyer and I think that’s fantastic in practice. I think that people will continue to take something like a GDL because the profession really likes recruiting non-law graduates; I’m a non-law graduate myself, and when I talk to law firms, I see no sense that they may not wish to recruit from that particular pool of people. People may decide they want to do an online course which is cheaper, rather than having face-to-face tuition and that will be entirely up to them. As far as the LPC is concerned, what you learn on the LPC, particularly the core subjects, will be assessed in the SQE. We think that some universities will include it in their law degrees, some will include it in their GDL-type programmes for non-law graduates, but again we think there will likely be short, focused courses to help people acquire that knowledge and prepare for the SQE. How is the SQE going to affect those currently on the GDL or LPC? The important thing is to recognise that there will be more choices for those people. If you’ve already started a qualifying law degree or a GDL or already started down the process of becoming a solicitor, you will be able to continue down that process or you’ll be able to choose to take the SQE. It’s also important to say on this that we are consulting on that at the moment and that consultation closes in December, so what I say is subject to the outcomes of that consultation. But as I say, what we are proposing is that people who have started to train and start to train between now and the SQE coming in, will have a choice: they can continue down the current route or they can choose the new route, subject to a long stop-date. The long stop-date is very long at the moment – we’re suggesting 2031, so that gives people a long, long time to continue down the current system. However, once the SQE has come in, you can only qualify under the new system. 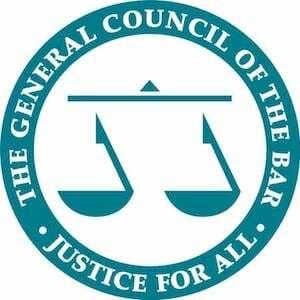 This is particularly important for non-law graduates, at the moment; if you’re studying History or English or Modern Languages and you’re thinking you might want to become a solicitor, you will need to start your GDL at the latest academic year of 2019-20 if you want to come in under the old system. If we introduce SQE in 2020 and if you take your transition course in 2020, you will be in the new system and you will not have the option of qualifying under the old system. How are the SQE assessments going to be structured at this stage? We’re having two stages: the first stage is an assessment of what we call functioning legal knowledge, that covers what is included in the foundations of legal knowledge in a qualifying law degree and the LPC core subjects. There will be a series of online, computer-based assessments and they are all about problem-solving. So you’ll be given scenarios and you’ll be asked how to apply fundamental legal principles and come up with solutions and the best options for your client. They’re very practical and all about using knowledge to address clients’ problems. We’ll also include some skills assessments in SQE stage 1 that will be legal research and legal writing. Although we don’t require this, we expect that lots of employers will want people to have passed SQE stage 1 before they begin their work experience, so we expect that most people will take SQE stage 1 around the end of their law degree or their conversion course. People will go and do work experience and towards the end of work experience, we expect people to take SQE stage 2, which is all about legal skills: can you interview a client? Can you do a drafting? Can you do legal research, complicated legal research? It’s all about checking that you’ve got the skills you need by day one to practise as a solicitor. Where will students sit the SQE and do you have any ideas as to costs? At the moment, we’re in the middle of appointing an assessment organisation who will run the SQE for us. We will appoint one single organisation who will run it nationally and globally. The cost of the SQE will emerge through that sourcing process and the exact geographical spread of sitting the assessment will also emerge. How do you think the new system will affect the two-year training contract as it currently stands? I think lots of firms will want to continue offering training contracts. The work experience you get will need to give you the opportunity to develop the full range of competencies that you get assessed on in the SQE, I’m sure will still be offered. What we are proposing is that wider forms of work experience could count, so working as a paralegal, working as an apprentice, working in a student law clinic, doing a placement in industry as part of your of a sandwich degree. All of those sorts of work experience could count, provided you’re working in legal services and provided there is a solicitor who can sign off to confirm to us that qualifying work experience is taking place. I think the international element is also interesting – this is a way for us to encourage the spread of English law around the world and, particularly as we leave the European Union, to say we’re open for business. This is an important legal jurisdiction and this is the gold standard in terms of checking that everybody who is admitted as a solicitor is safe to practice. It’s a tough job and we need to make sure that everybody who becomes a solicitor is absolutely up to it. It sounds like the new system will make the profession a lot more accessible. We absolutely want to make sure that the most talented people can become solicitors. It’s not right that there are barriers like cost or access to training contracts, which mean that people who have the talent and have the ability can’t get through. We want the profession to be as representative of its client base as possible. What’s the one piece of advice you would give to any aspiring solicitor today? Make sure that you do get some work experience and recognise that being a solicitor is very varied. So, if you are interested in working with people, there are aspects where you’ll have lots of exposure to clients and often lots of exposure to clients in a distressed state at particular crisis moments of their life. If that’s what you really think you would enjoy, that feeling of making a difference in individuals’ lives, then see if you can get that sort of work experience. You may be somebody who likes the corporate contexts, who likes seeing how businesses work together, so you need to get that type of work experience. And actually, you may not know – I certainly didn’t know before I became a solicitor what I would enjoy. So get a range of work experience if you can. I think that’s probably my top tip. Sign-up for free, to receive the latest information about the SQE and Legally Pod straight to your inbox!